Beyond its well-appointed airports, there are countless things to do in Dubai during a layover in this international hub. Want to escape the cacophony of the jetport with a spa experience? Tension-melting treatments await. Looking to exhaust the ankle-biters with an active adventure? Dubai delivers on that front, too. 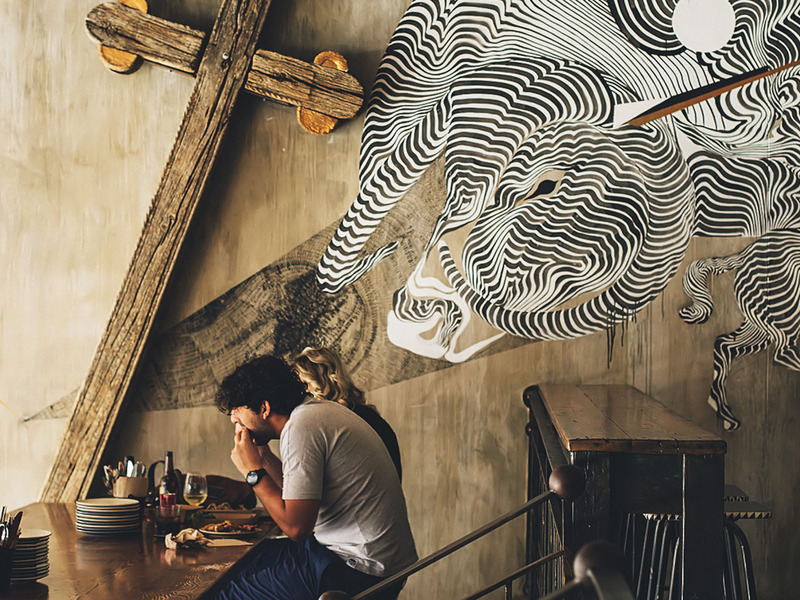 Read on for our advice on things to do during your stopover in Dubai. Dubai’s gleaming waterfront is a sight for sore eyes (especially after a red-eye). 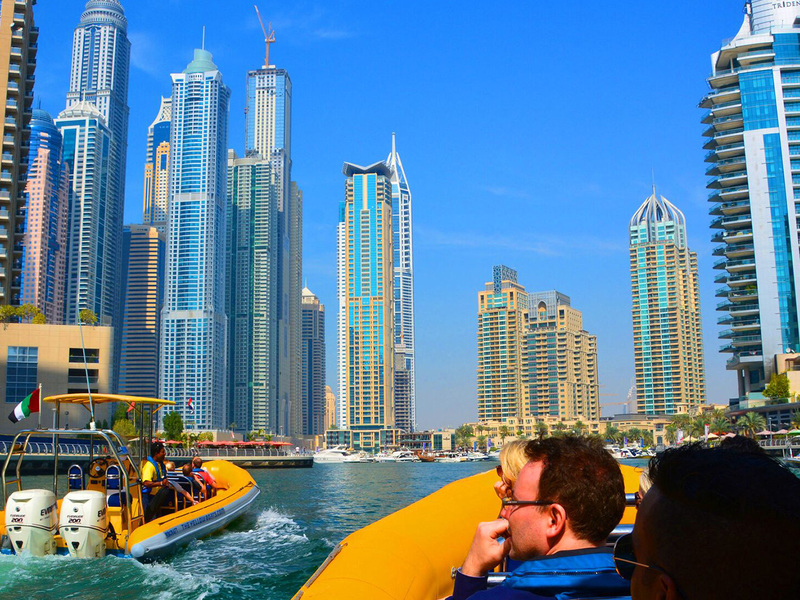 Why not head to the waterfront and embark on an Arabian Gulf cruise with The Yellow Boats? Escorted by a guide on a rigid inflatable boat, motor past the Palm Jumeirah, a manmade archipelago where luxury hotels dot white-sand beaches and renowned chefs experiment with mouthwatering ingredients at acclaimed eateries every night of the week. Want otherworldly city views without having to take to the water? Head to the Burj Al Arab for afternoon tea at the Skyview Bar. Soar to the 27th floor of the exclusive high-rise hotel and indulge in delicate tea sandwiches and flaky scones while sipping champagne. Panoramic windows invite you to drink in breathtaking views of the Arabian Gulf from your perch in the third-tallest hotel in the world. Lusting after complete relaxation? Treat yourself to a traditional Arab treatment that leaves you feeling deeply rejuvenated. The Ultimate Hammam Spa Experience at the Spa CORDON incorporates eucalyptus-infused exfoliation to cleanse your skin as you recline on heated, tension-melting marble. Before jetting back to the airport, savor lunch at the spa lounge. With so many things to do in Dubai, just how does one exhaust the kids in the middle of an epic international journey? An active ice-skating session with Alpha Tours—that’s how. Ideally situated in the Dubai Mall, this high-energy adventure lets you stretch your legs and leaves your minis blissfully tuckered in anticipation of the next flight. Worked up an appetite? Snag your kids some food from the Dubai Mall Food Court, with menus that appeal to even the pickiest of eaters—from Shake Shack to TAZA, which offers fast, easy, and authentic Arab cuisine. If your travel plans allow a bit of wiggle room, consider setting your sets on the Gold Souk—a world away from Dubai’s designer boutiques. A friendly local from Gray Line UAE leads you on a guided tour through the markets of Deira and the Gold and Spice souks. Barter for the items that catch your fancy—from swanky threads and precious gems to mouthwatering spices to recreate your favorite Emirati specialties at home. If you have additional time, consider crossing the Dubai Creek to the Al Fahidi Neighbourhood, where an 18th-century fort houses artifacts from the United Arab Emirates of yore. Or, continue the retail therapy at the Textile Souk, selecting fabric, clothing, slippers, and other souvenirs you won’t find anywhere else. With ample time in the City of Superlatives, why not do it all in a single day? A private city tour with OceanAir Travels accomplishes just that. Chat with your chauffeur and select an itinerary based on the attractions that call to you. Love Dubai’s gleaming skyscrapers? 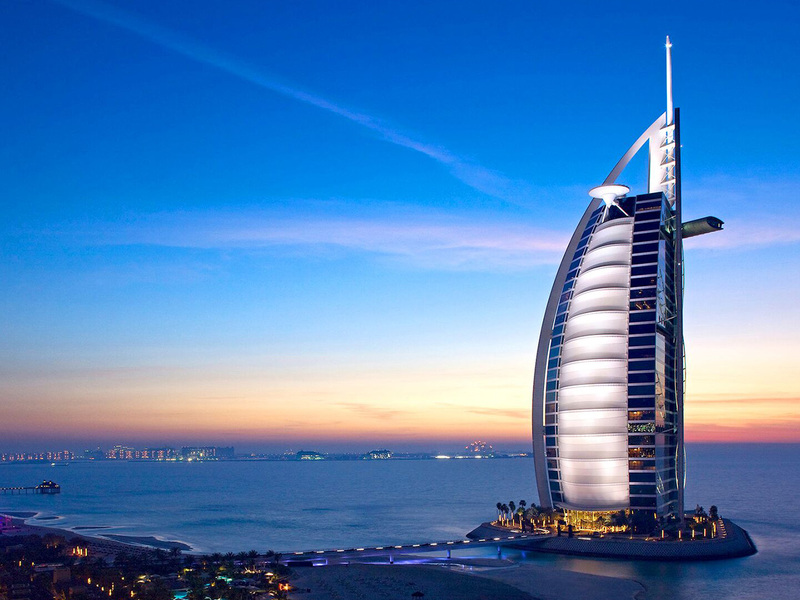 Elect to motor past the Burj Al Arab and the Burj Khalifa—the world’s tallest structure. Or, visit the Al Fahidi Fort and the Global Village for an introduction to the history and culture of the UAE’s most populous city. If time allows, pair your avid sightseeing with lunch at the Arabian Tea House for mouthwatering Arab cuisine without the steep prices that define some of the city’s more upscale eateries.